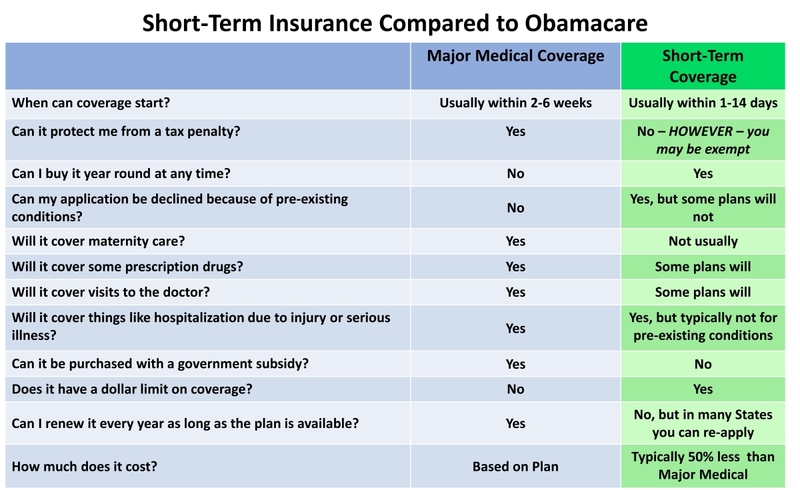 Short Term Heath Care Plans are an affordable and flexible alternative to Obamacare. Different levels of benefits among plans means you choose the right coverage for you, get to keep your doctor, and enjoy significant savings over plans offered through the Obamacare Exchanges. We combine these plans with additional coverage to create the Real Life Protection Pyramid. Our Short Term Healthcare Plans are provided by insurance company that are rated “A” (Excellent) by A.M. Best. This worldwide independent organization examines insurance companies and other businesses, and publishes its opinion about them. This rating is an indication of financial strength and stability. In the event of a serious illness, simply having health insurance is not always enough because deductibles, co-pays and loss of income can create a cascade of financial troubles for any family – even with insurance. In a recent poll 26 percent of people say health care expenses have taken a serious toll on family finances. The poll, conducted by The Robert Wood Johnson Foundation and Harvard’s T.H. Chan School of Public Health, shows that even people with medical insurance are struggling to pay medical bills. This is a direct result of the amount insureds have to pay for deductibles for individual insurance – which has increased 255% from 2006 to 2015. Medical bills are the leading cause of personal bankruptcy in the United States today. Three-quarters of the families driven to bankruptcy by health-related costs are actually covered by health insurance. 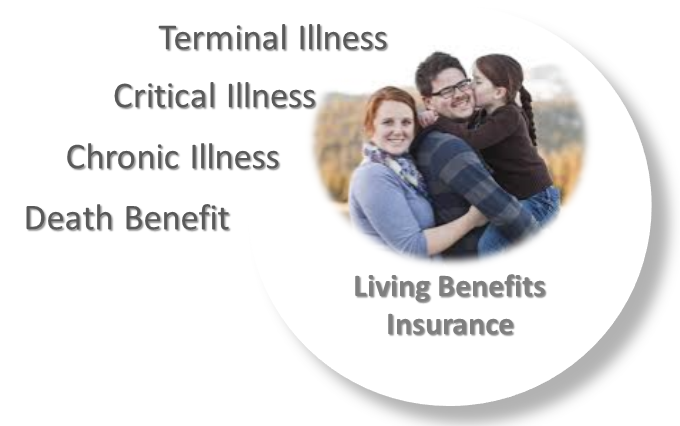 The most cost effective way to provide the family with a financial safety net against the financial havoc caused by serious illness is with a Living Benefits Life Insurance policy. Health Insurance Exchange Alternative recommends this term life insurance policy with living benefits because it is designed to protect the future of loved ones and plan for the unexpected. It’s a fact of life: accidents happen. And when they happen, accidents can leave you with medical bills you weren’t expecting. Even the best health insurance comes with deductibles, coinsurance and other out-of-pocket expenses that can really add up. With Accident Medical Expense from Assurant Health, you get help paying your out-of-pocket medical expenses so that when an accident happens to you, you can concentrate on getting well. The average length of a hospital stay has declined over the past 10 years. A shorter hospital stay may mean additional out-of-pocket expenses before you reach full recovery. Your medical plan provides benefits to help with medical costs during a hospital stay, but once you leave the hospital things like lost wages plus the costs for help with transportation, meals, child care, or even housekeeping can all add up. Hospital Recovery Insurance provides cash benefits regardless of any other insurance you have. By pairing it with your medical plan, you can extend your protection to help with those unexpected costs so you can focus on your recovery. The Hospital Recovery benefits are paid directly to you following an inpatient hospital stay discharge. How you use your benefits is up to you! If you'd like to have a doctor just a phone call away, instead of waiting weeks for a visit or wasting hours in a germ-infested waiting room, and if you'd like to finally enjoy some peace-of-mind when it comes to your family's health, then this is the perfect add-on coverage for you and your family. Imagine how your life would be different if you never again had to worry about consulting with a physician when you or someone in your family needs it most. 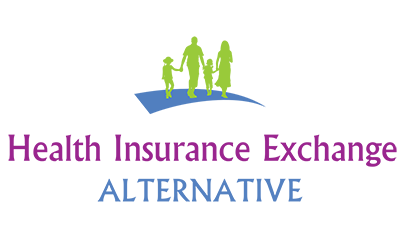 MyHealthPass is your personal passport to 24/7 healthcare for less than $1 a day. Regular dental care can mean more than a brighter smile – it could also mean better overall health. Dental coverage from Assurant Health pays cash benefits when you have dental checkups and treatment – making it easier to keep up with regular visits to the dentist and lead a healthier life. Dental coverage pays cash benefits that help you pay for dental checkups and treatment. No waiting period for checkups – you get $75 for a visit every six months. Get a set cash amount for each dental treatment such as an extraction or a filling. Visit any dentist – no network restrictions. Receive cash benefits directly, or allow your dentist to submit the claim and receive the payment. Why are you paying premiums that are insanely high AND leave you open to HUGE deductibles? Find alternative types of insurance that are much less expensive and completely exempt from Obamacare’s regulations. Go to doctors that refuse to participate in Obamacare, don’t accept healthcare.gov insurance, won’t share your medical records with the government – and are less expensive than other doctors. Join private organizations whose members are exempt from Obamacare’s tax on the uninsured. Legally avoid having to pay Obamacare’s tax for being uninsured. Not taking these steps can mean huge medical bills, or that you might not get the healthcare you need! So how can you opt out the RIGHT way? Click here now and see how much you can save!